St Mary’s School for boys, girls and infants was built in 1850 behind St Mary’s Church. The building was one large room with a gallery at one end for the infants. The pupils were the children of mainly Irish cotton weavers and manual labourers employed on roads, canals and coal pits. Women and children found employment in the subsidiary trades of the cotton industry such as bleaching, dyeing and calico printing. 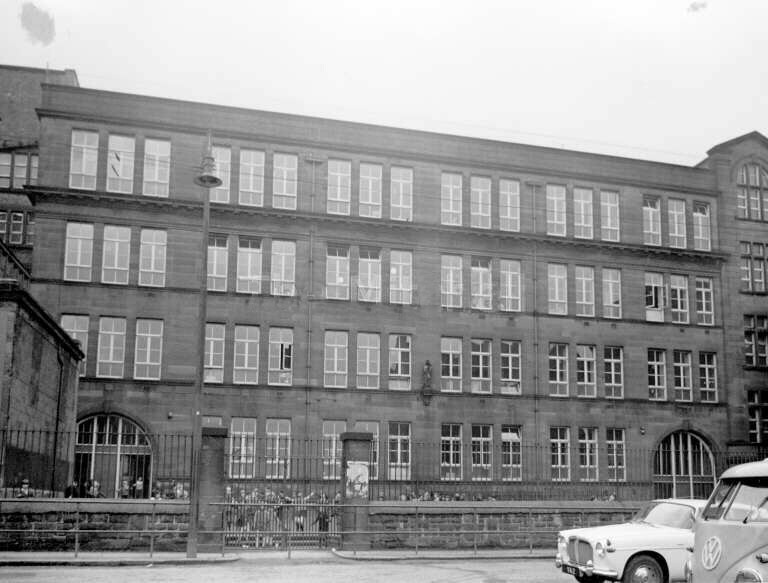 Father Peter Forbes, parish priest of St Mary’s Church, Abercromby Street, opened the school. He employed a master and pupil teachers for the boys department while the girls and infants were in the care of the Sisters of Mercy who had been invited to Glasgow from Limerick by Bishop Murdoch in 1849. Needy children were supplied with food, clothing and after school care in sodalities and clubs because at that time there was no state assistance. In 1858 the Marist Brothers came to Glasgow at the invitation of Bishop Murdoch. In 1863 they took charge of St Mary’s Boys’ School. In 1865 there were 300 boys taught by two Marist Brothers and five pupil teachers. Brother John, Brother Austin and Brother James were head teachers from 1865 to 1869. By 1870 there were 400 boys and a staff of eight. Pupil teachers were instructed by a master or mistress who conducted the apprentices through an approved course which lasted four or five years. The instructions were given either before or after school hours and the pupils also attended night school. In 1919 all Catholic Schools entered the national system of education which replaced the School Boards. The Education Department now provided food, clothing and books. In 1919 there were 2554 pupils on the school roll. In 1922 the Qualifying Examination was replaced by the Control Examination. Pupils who passed could go on to a five year course in a secondary school while the others attended a Junior Secondary School for two or three years. As a result by 1930 the roll dropped to 500. 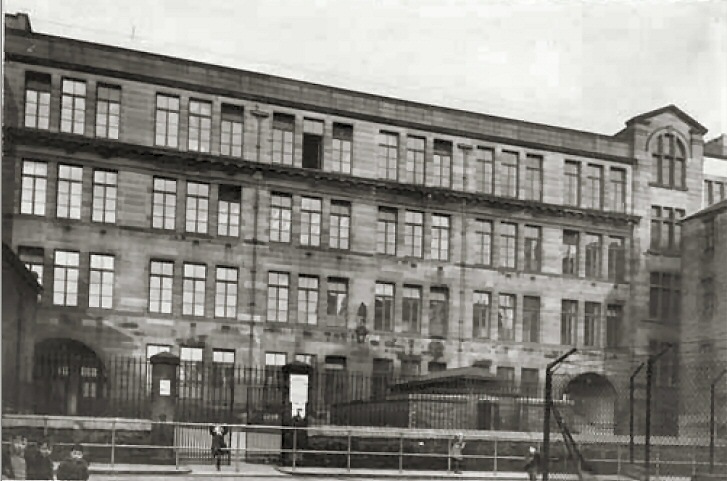 In 1929 Glasgow Corporation took control of local education. By 1963 the school roll had fallen to 350 – around the same number as when the Marist Brothers took over a hundred years previously.